One of the most persuasive forms of lobbying is a face-to-face meeting with your elected officials or her/his staff about the issue at stake, why you are passionate about the issue, and the position you’d like your member of Congress to take. It is for this reason that supporters of the National Nurse Act are taking this step. With the support provided by the NNNO, these activists found their visits to be empowering. Nurses are trusted, credible messengers and this is true even when speaking with elected officials and their staff. NNNO Advocacy Team Member Dr. Nicole Barnett, RN, MBA, DHSc dropped a packet of information about H.R. 1651 to the district office of Congressman John Garamendi (CA-3-D). 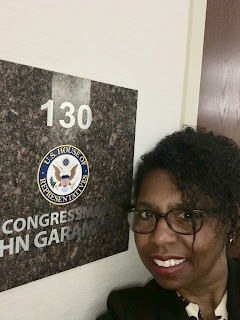 After following up with an email, Nicole received word that “Congressman Garamendi is now an enthusiastic co-sponsor for this important legislation” signing on June 20th. 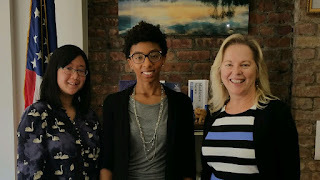 Last month, a team of public health nurses led by New Jersey Association of Public Health Nurse Administrators (NJAPHNA) Co-President Deborah Gash MS, RN met with Jael Davis, a staffer with Congressman Frank Pallone (NJ-6-D). 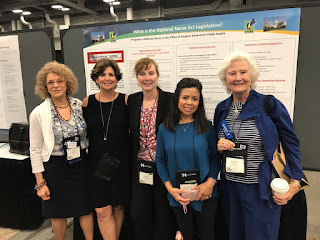 Earlier this Spring, NNNO Advocacy team member Leslie Leonard BSN, RN, PHN collected dozens of signatures on a sign on letter urging Congressman Pallone, the ranking member of the Energy and Commerce Committee, to advocate for a hearing for the National Nurse Act. As frontline workers in New Jersey public health settings, they wanted Congressman Pallone to know how strongly they support this bill. 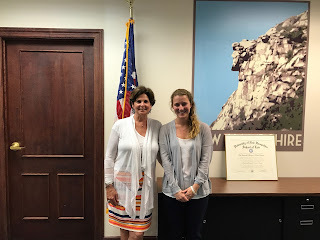 On Wednesday June 21st, NNNO Advocacy Team member Cathy Lodico RN, MS, CCM met at the headquarters of New Hampshire Senator Maggie Hassan to discuss co-sponsorship of the National Nurse Act. Cathy spent time educating Senator Hassan’s assistant, Meredith Shevitz about this bill, including explaining how a National Nurse for Public would benefit the citizens of their state. Cathy also took the opportunity to share a poster board on H.R. 1651 / S. 1106 The National Nurse Act at CMSA’s 27th Annual Conference and Expo held in Austin, Texas June 26-30. Members of the Alamo Chapter of CMSA (ACCMSA), led by NNNO Advocacy Team member Joan Westgor, visited four Congressional district offices in Texas, including Congressman Lamar Smith (TX-21-R) to advocate for the National Nurse Act. 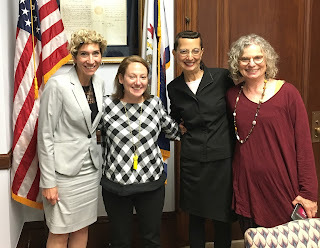 Joan and her colleagues were pleased that their visit with Congressman Will Hurd’s staff resulted in him becoming the 40th co-sponsor of this bill. Since the National Nurse Newsletter was last distributed on May 16th, H.R. 1651 The National Nurse Act of 2017 has gained several additional co-sponsors. Currently there are 44 U.S. Representatives that have declared support; this list includes 22 Republicans and 22 Democrats, representing 22 states. This impressive list includes 21 out of the 56 members serving on the Energy and Commerce Committee. Twenty co-sponsors also sit on the House Nursing Caucus. Thank you to all those who have signed on-this is a true example of bipartisan support. S. 1106, the Senate companion bill is now co- sponsored by Senator Ron Wyden (OR-D). Senator Wyden is the Ranking Member of the Senate Finance Committee and he also serves on the Senate Intelligence Committee. We are grateful and proud to have his support. If your elected Representative or Senator has signed on to the National Nurse Act, please take the time to call their DC office and say THANK YOU! 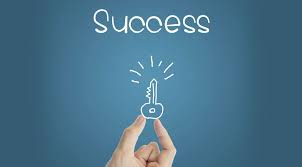 If you do not see their name listed under the Special Interest Tab on the News Link , please contact the NNNO Board so that we can provide you with tips to make your visits successful. 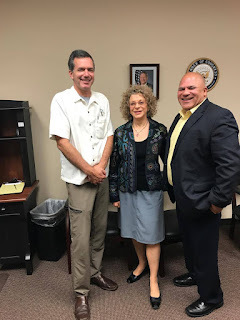 The NNNO has now heard from supporters living in California, Florida, Michigan, New Hampshire, New Jersey, Oregon, Texas, and West Virginia who have taken the time to visit their US Representative and Senators’ district offices to ask that they sign on to this important legislation. Many of their stories are posted below. If you are not able to make a personal visit, please visit the Take Action Center to locate your Rep/Senator. 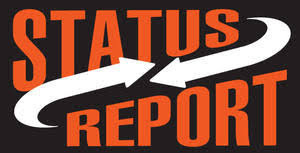 Once you find this information there is a template letter you can copy, paste, edit slightly and send. Or if you wish to make a phone call, there is a script available to guide you.